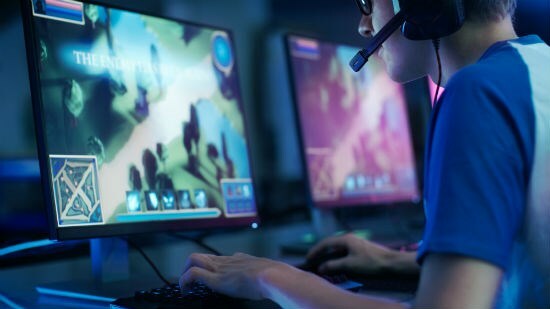 A new study carried out by researchers at the University of York found that there's a link between a player's skill in MOBA games like League of Legends and his or her overall intelligence level. This study discovered that top MOBA players also achieve top scores in standard paper-and-pencil intelligence tests. Additionally, a second study found that for large groups, performance in MOBAs and IQ tests behave in similar ways as players get older. This is because games like League of Legends and Defence of the Ancients 2 (Dota 2) are intellectually demanding, so older players generally do a bit better in these games than young teens. First person shooters were also investigated, but this game genre did not show a correlation between skill and intelligence. While MOBAs rely on memory and strategic decision making, FPSs are all about speed and target accuracy. On a population level, the performance of people in FPS games drops after their teens. Some action strategy video games can act like IQ tests.